Below is a written version of the podcast, which you can find on SoundCloud, iTunes, or wherever you get podcasts. The text below may differ from the actual recording by a lot. I write the text and then speak it on the podcast to Stephen, so it inevitably changes depending on his reactions. Welcome to Episode 4 of Four Questions – a weekly podcast where I answer four questions about the current state of affairs of my husband’s indie rock band, Learson Peak. My name is Michelle Learson and I’m your host. Stephen Learson, my husband, is also here and will be providing illuminating commentary. There it is. The Indobox will be playing their last show ever on Block Island. Hope to see you at Box Island 2018. Last week the Learson Peak - Dr. Dog after party went quite well. It was a beautiful night in Boston, and Stephen had me stand outside the House of Blues after the Dr. Dog show finished handing out Learson Peak flyers and trying to get people into the Foundation Room. It was a pretty easy sell. So people came in. What was the highlight of the show you ask? Receiving a $1,000 dollar Costa Rican bill in the tip jar! Not knowing what the Costa Rican dollar to US dollar exchange rate is, I was super thrilled at about what I thought was a generous tip. Later, when I did the conversion to US dollars however, I realized $1,000 Costa Rican dollars is only worth $1.70 US Dollars. 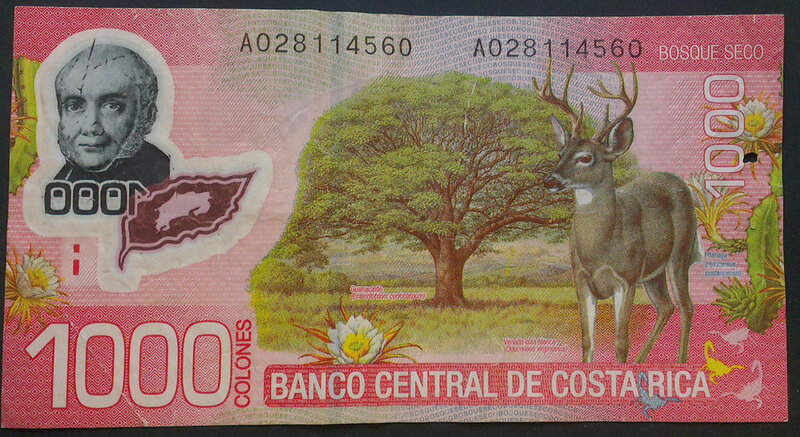 I’ve settled on keeping the Costa Rican bill as a souvenir, or giving it to Unicef one day on a plane. Unfortunately, we don't have enough space at this year's festival for you to perform, but thank you so much for submitting. The Green River Festival has announced a great lineup of musicians this year, including Dr. Dog, Big Mean Sound Machine (shout out to Russ Friedell), Bella’s Bartok, Marco Benevento, Yes Darling (the new Ryan Montbleau + Hayley Jane show) and Deer Tick (with a lead singer that is married to Vanessa Carlton). I’m just going to take this failure as a message that we need to work harder to promote the band and grow our fan base. My personal motto has always been - If I'm not failing I'm not trying hard enough. So following our episode last week on great music documentaries, Stephen and I watched the latest Janis Joplin biography – Little Girl Blue. It was fascinating to learn how Janis Joplin grew up very unpopular in Port Arthur, Texas, sang with a band called Big Brother and the Holding Company, and struggled with drug addiction for most of her short life. The other thing that amazed me is how many musicians have overdosed on heroin at a very young age. There is something called the 27 Club, a list of popular musicians, artists, or actors who died at age 27. I’m just glad Stephen’s over 27 years old, so he’ll never be inducted into that club. If you haven’t been to Block Island you are really missing out. It’s like a more down to earth & smaller Martha’s Vineyard, a calmer Cape Cod, a more rustic Sausalito-meets-Mill-Valley. See you next week. Don’t forget to check out Stephen’s new YouTube series – Synthesizer Show & Tell. He’s already released 2 episodes and is working on his third.